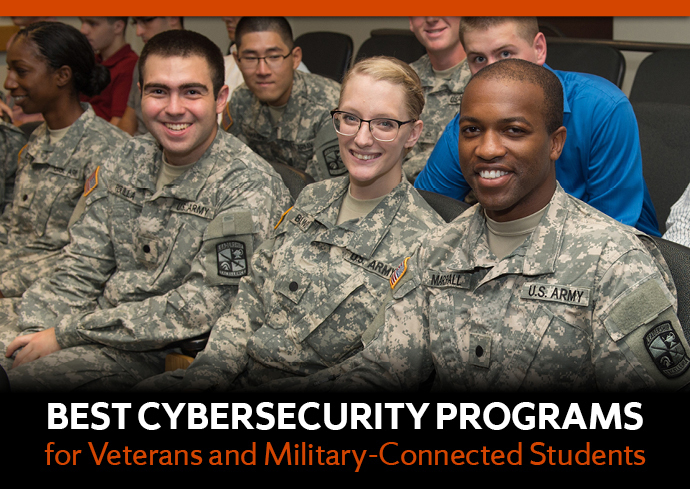 For the second year in a row, Syracuse University tops the list of best cybersecurity programs for veterans and military-connected students. Military Times’ rankings are based on academic rigor and efforts to recruit and support veterans at colleges and universities. Syracuse University is routinely recognized for its work to welcome veterans to its campus and programs. Currently, the Military Times’ Best for Vets: Colleges 2018 ranks Syracuse University as the No. 2 private school in the country for service members, military veterans and their families. In 2016, the College of Engineering and Computer Science earned the Engineering Excellence for Veterans Award from the American Society of Engineering Education. Syracuse University’s cybersecurity programs include an on-campus master’s and an online master’s in cybersecurity, a certificate of advanced study in cybersecurity and a Cybersecurity Semester that immerses undergraduate students in cybersecurity training. A collaboration between the College of Engineering and Computer Science and the Office of Veteran and Military Affairs, the Cybersecurity Semester is an 18-credit semester open to qualified juniors and seniors from any college or university. This year, SU is offering the Cybersecurity Semester on a cost-neutral basis for up to 10 ROTC candidates from academic institutions outside of Syracuse University. Applications are currently being accepted. Complete information is available on the program site. In creating their list of top programs, Military Times used academic performance as one of the top factors. The remaining factors included the number of the Computing Accreditation Commission of ABET-accredited computer science programs, the number of Centers of Academic Excellence designations and the proportion of degrees awarded at a school that fall under computer science and computer security, respectively. Data was provided by schools in the survey, as well as federal data and public information specific to computer science and cybersecurity. Federal data came from the U.S. Departments of Defense, Education and Veterans Affairs. See the full Military Times press release, rankings and survey methodology.